Oh, to be a dragonfly on the wall of a recent United Airlines flight from Denver to North Dakota. Inquiring minds want to know: Did the stewardess mean you “messed up,” as in, you made a mistake, or did she use the inherently more black English intonation “You fucked up”—as in, you are messed up in the whole entire game? As said dragonfly (’cause a fly is nasty), I would have preferred the latter. Just because that would have been hilarious to hear over the loudspeaker. 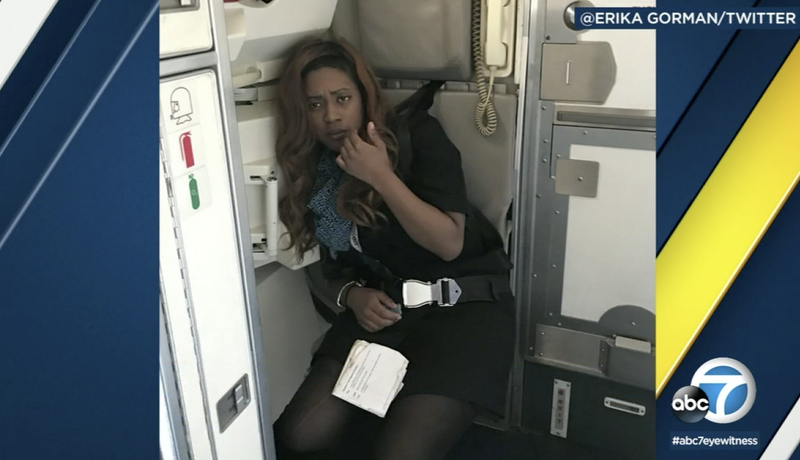 Anywho, this passenger, Erika Gorman, thought that the disheveled flight attendant was drunk or high, and tweeted the parent airline to say so. Gorman tweeted that she was “terrified” and took pictures of the stewardess and another passenger. Gorman also tweeted that police and an ambulance met the plane when it landed in Williston, N.D.